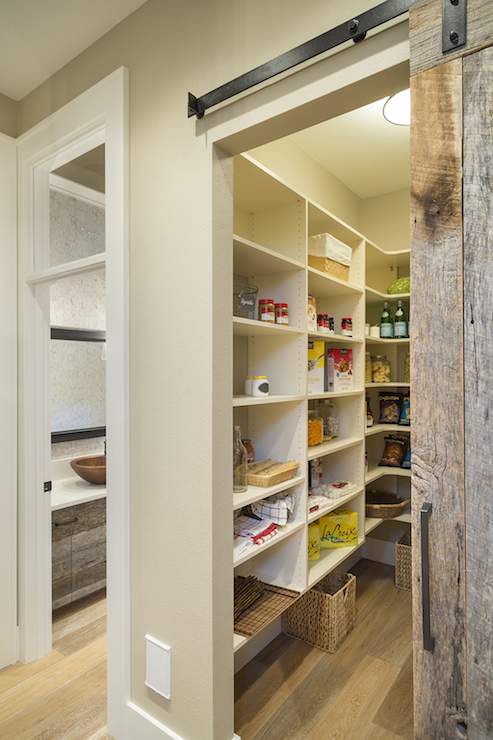 How about this for a Pantry? I absolutely love the look, as you can see the repurpose Barn door is something that is back in fashion in the Home and definitely gives it that Country feel even if you don’t live in the country. I’ve seen homes with old Stable back doors and have to admit seeing a photo of them doesn’t look that appealing until you are actually in a house or a showroom then I think those really do look lovely. It’s all back in fashion it’s the same with the old Seventies Retro Look, which I’m not a fan of but I have seen some real nice piece’s out there. This entry was posted in Belinda's Home & Garden. Bookmark the permalink.